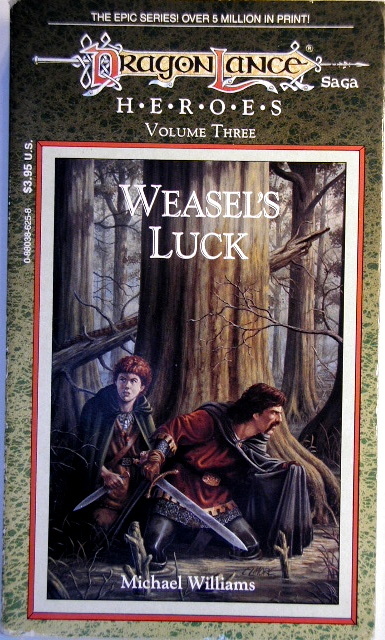 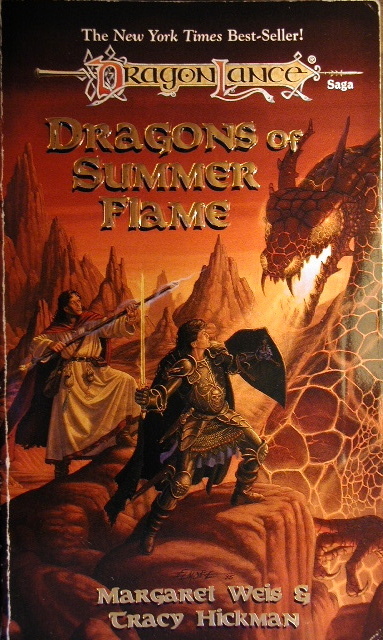 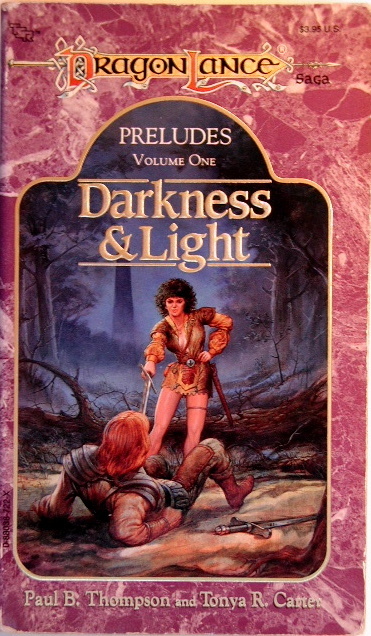 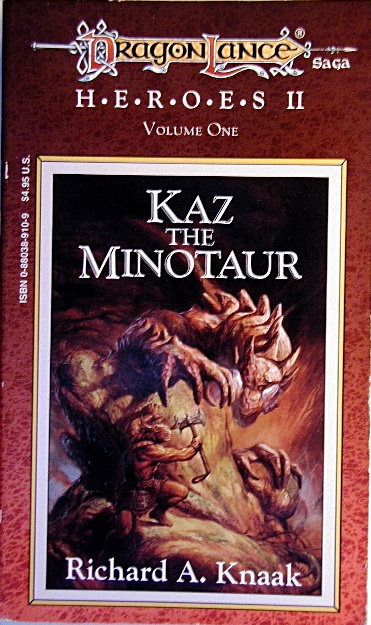 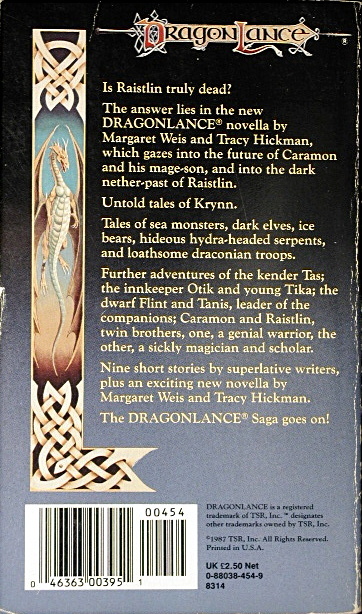 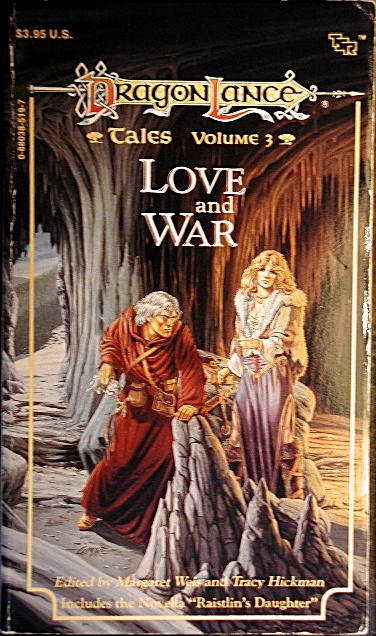 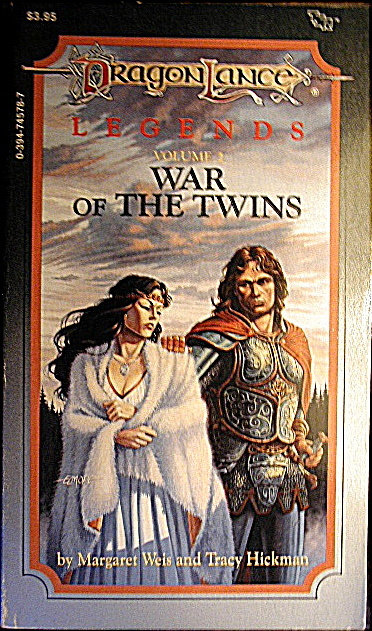 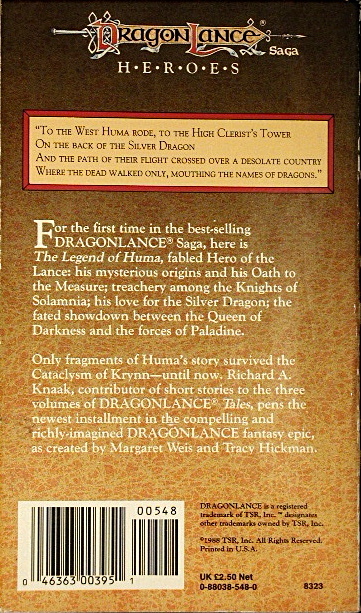 This is a great series of novels started back in about 1984 by authors Margaret Weis and Tracy Hickman. 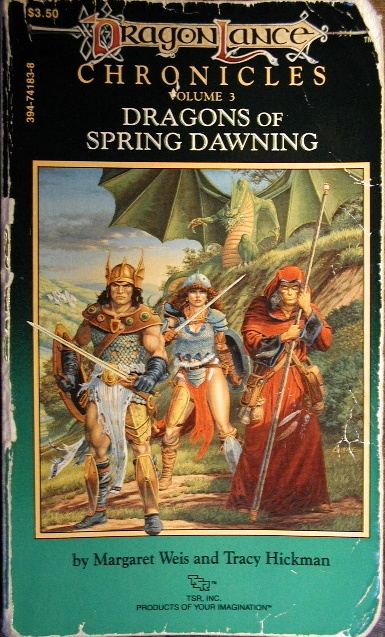 Aimed at more mature readers, the first Chronicles Trilogy traces the story of a band of unlikely heroes who must save the world from Takhisis, the Dark Queen. 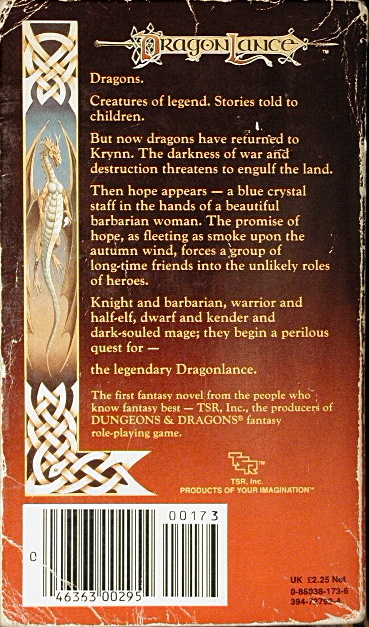 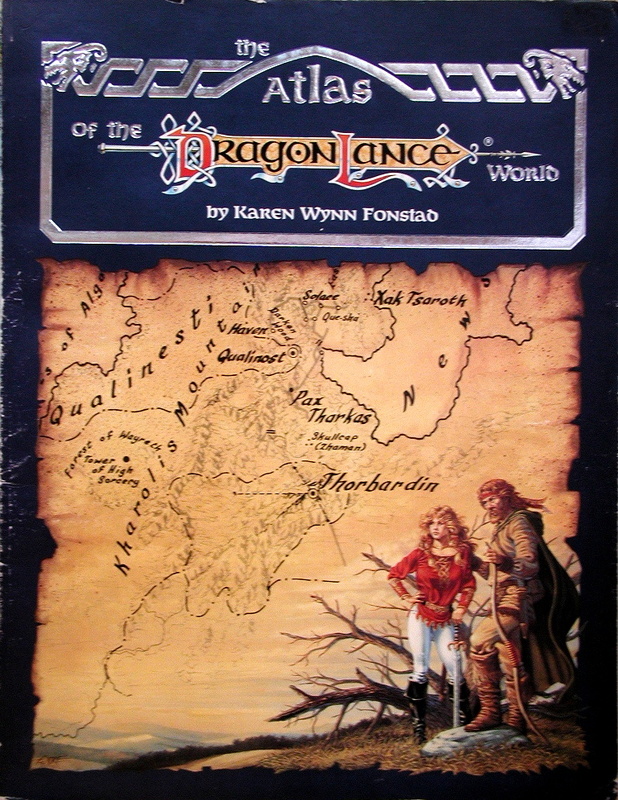 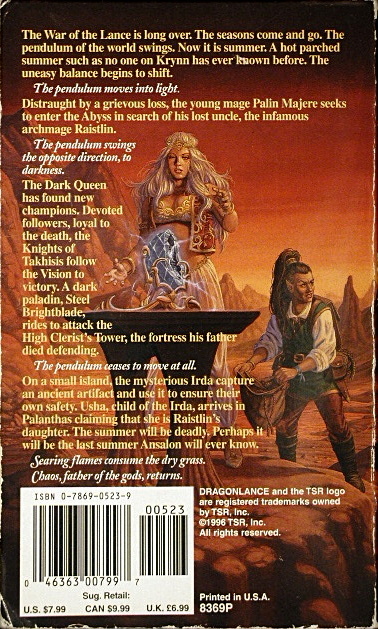 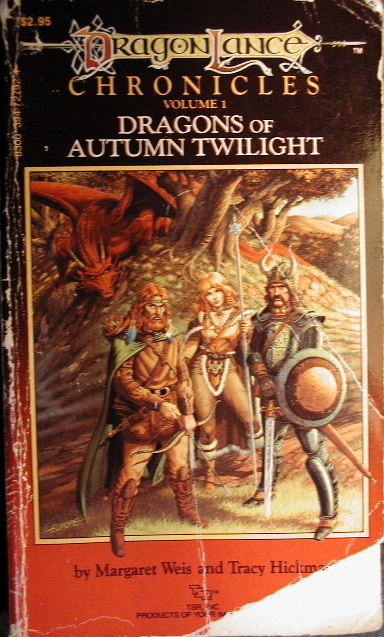 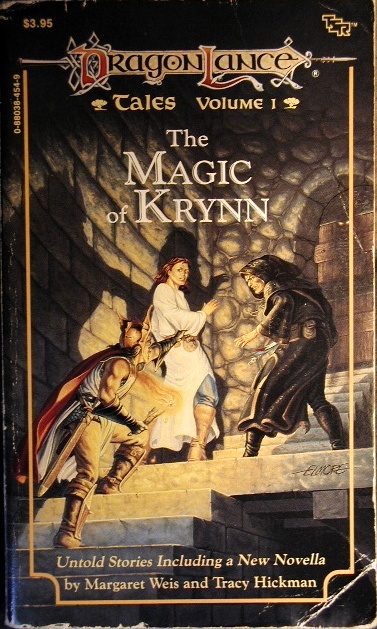 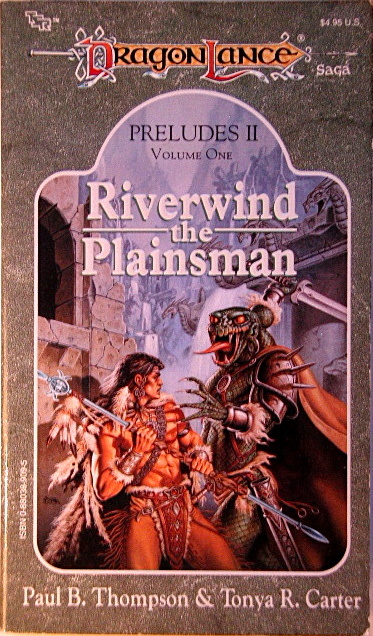 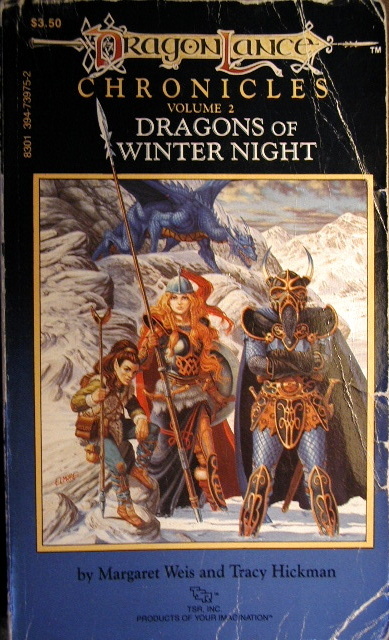 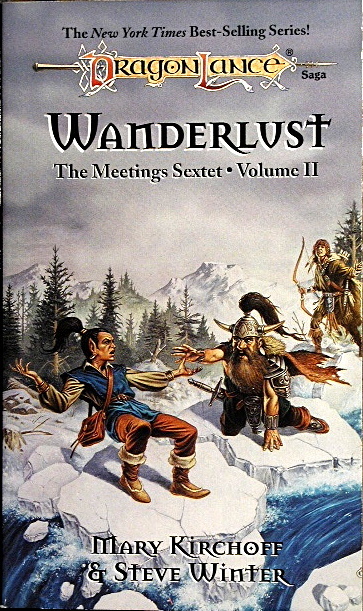 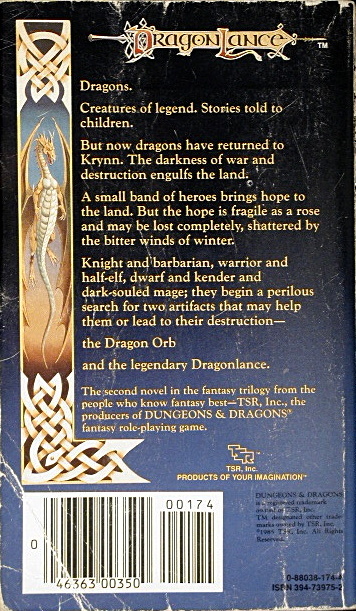 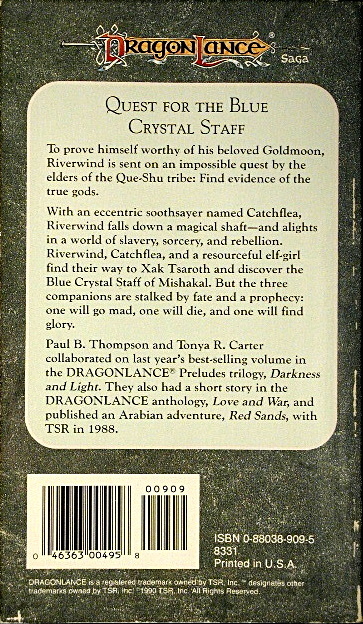 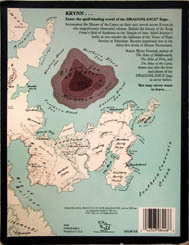 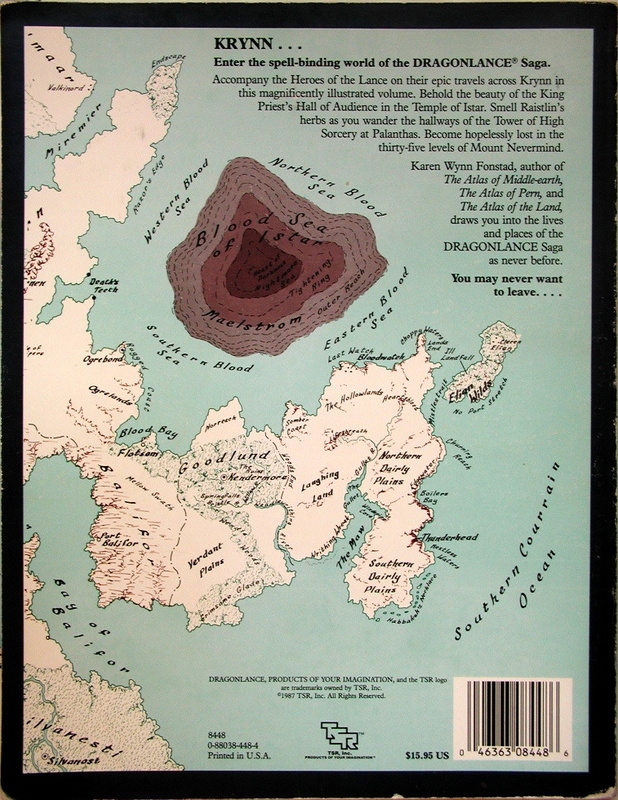 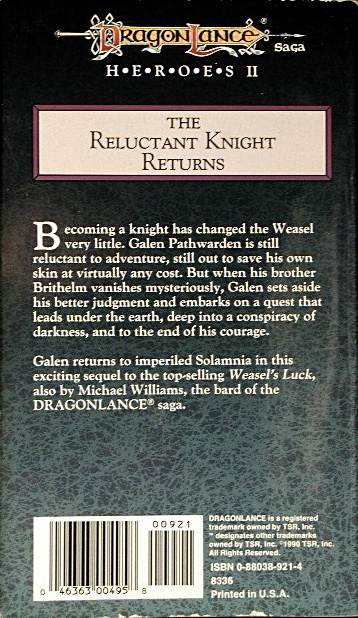 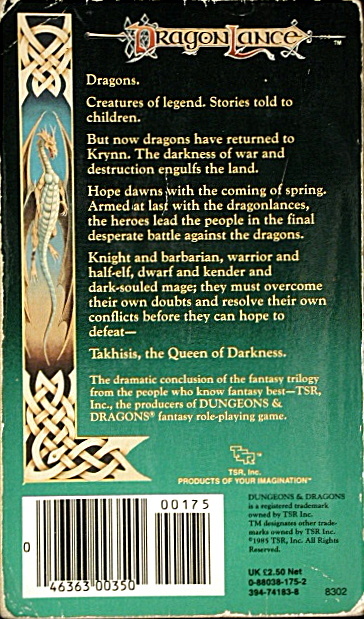 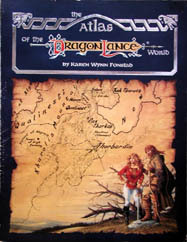 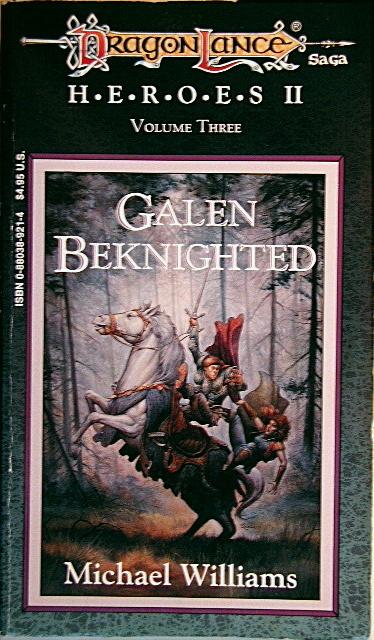 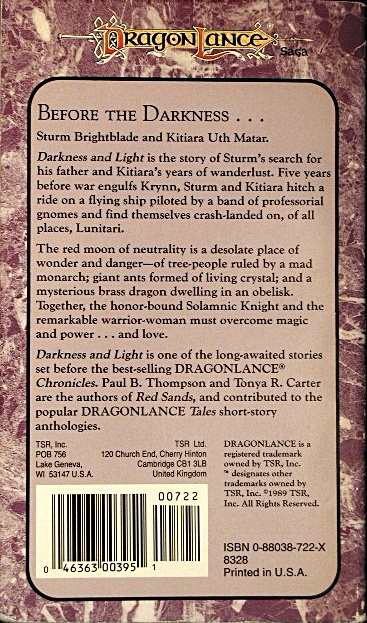 Great characterization, excellent writing and a vast and realistic world, Krynn, make this series a classic piece of fantasy fiction history. 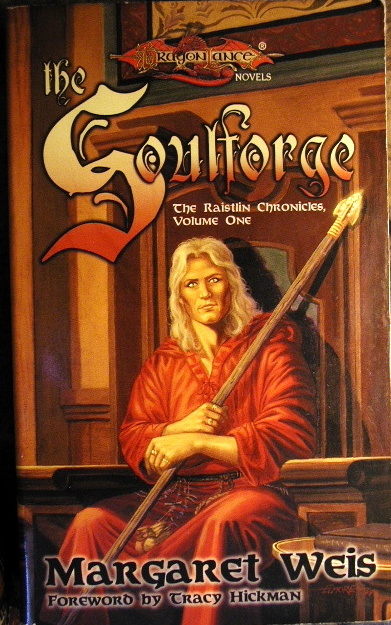 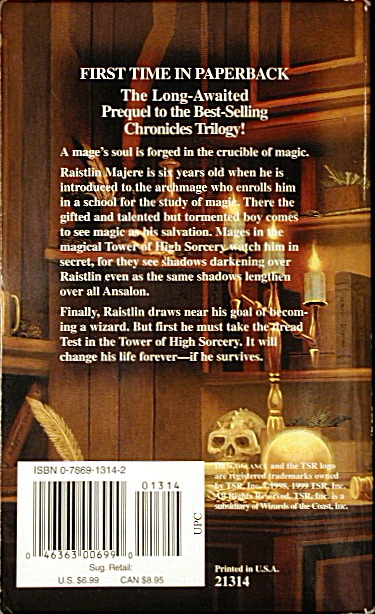 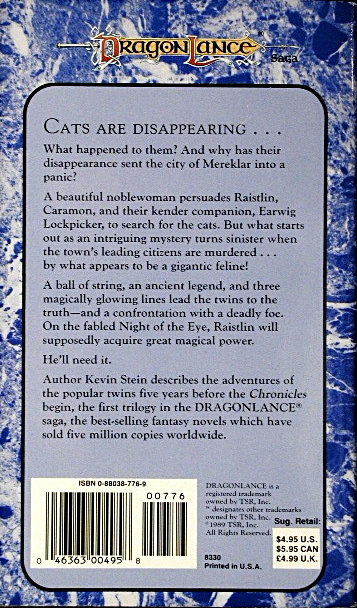 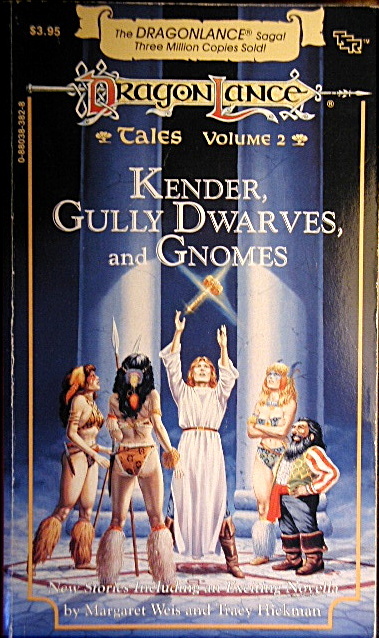 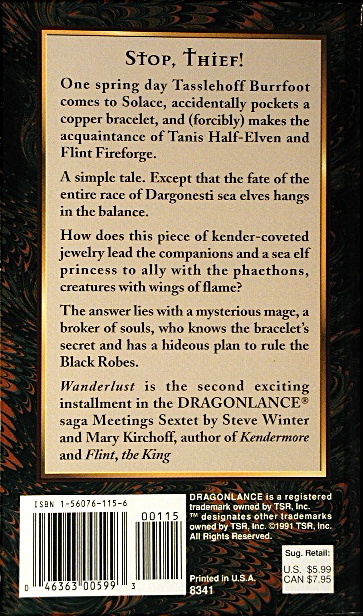 Everyone who's read these has a favorite character be it Raistlin the mysterious hour-glass eyed mage, or the slippery-fingered Kender Tasslehoff Burrfoot. 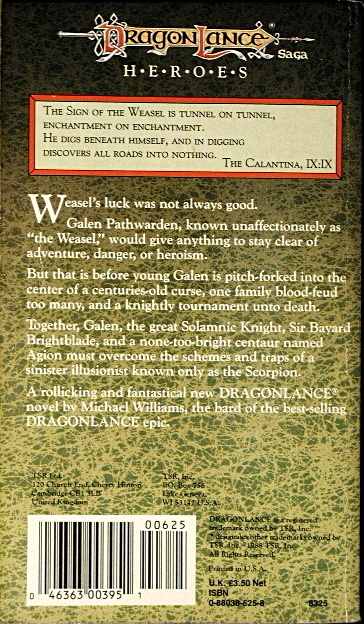 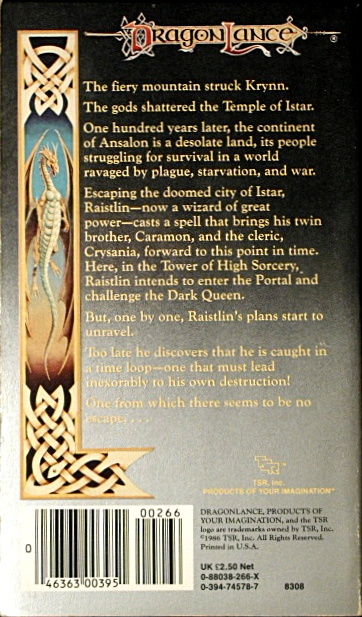 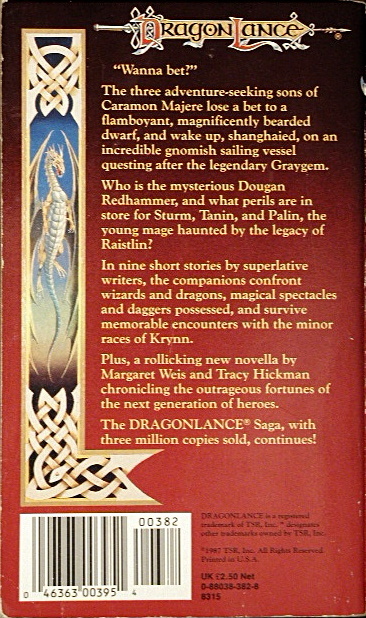 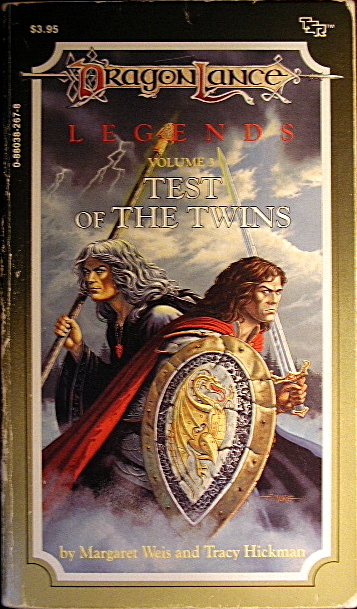 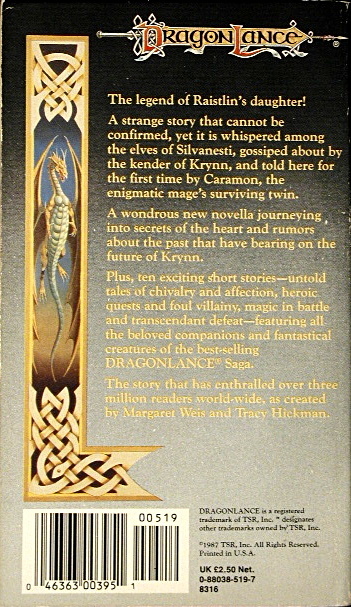 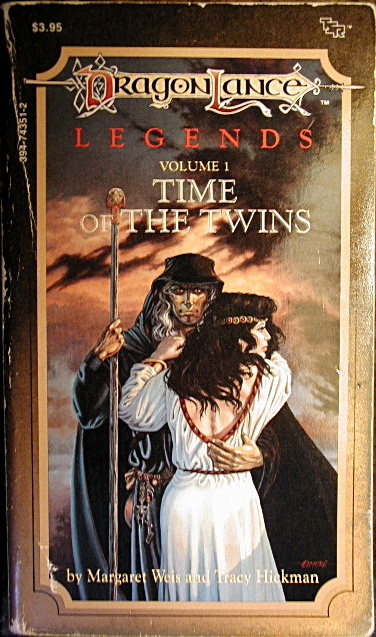 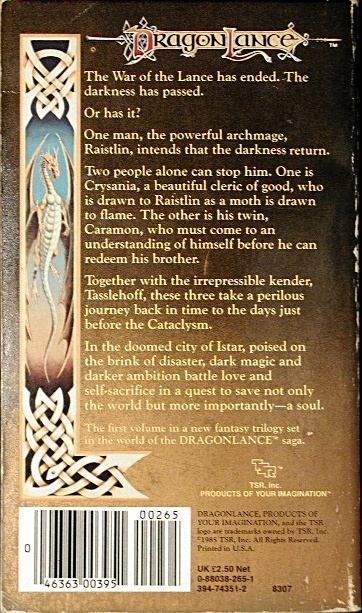 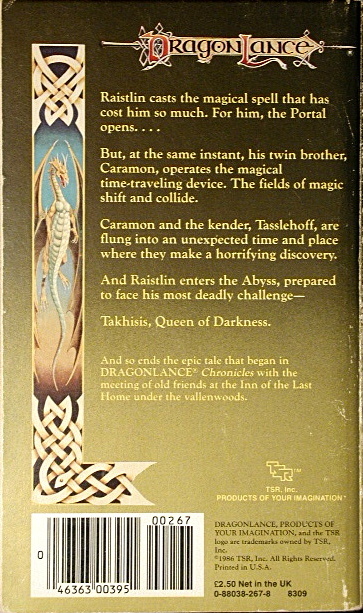 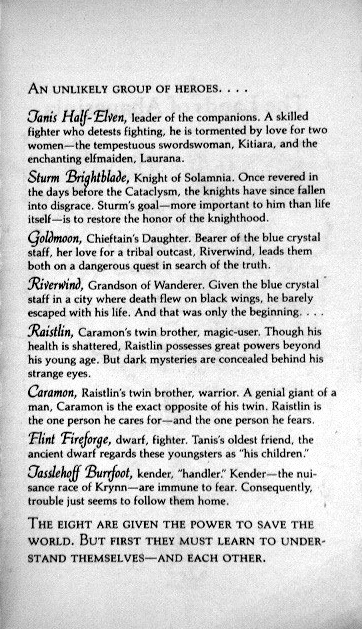 Legends was probably the best trilogy of them all, following Raistlin and Caramon through time to before the Cataclysm and back again, in Raistlin's quest to become a god himself. 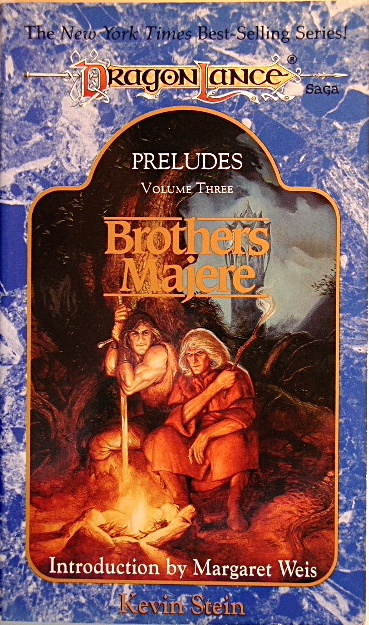 But in the end the cold-hearted mage makes the ultimate sacrifice for his brother, or so it seems... 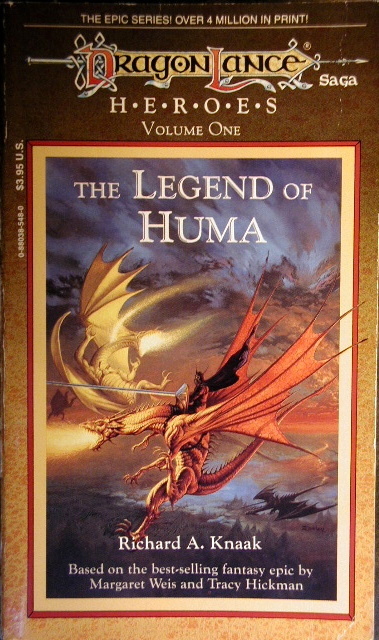 Most of the other stories in the series are no longer written by Weis and Hickman, and the original two trilogies are definitely the best. 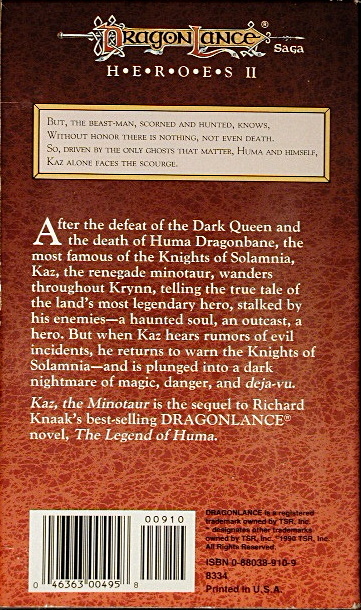 However, many of the other stories are very good as well, documenting events both before and after that fateful meeting of the Heroes of the Lance at the Inn of the Last Home at the beginning of Chronicles volume #1.